What is it that they say about the best laid plans? Something about how they never work out? That sounds about right... Despite my intentions to catch up on blogging while Tony and I were up in Canada, I wound up not even bringing my laptop and was hardly online at all. Instead I slept in late every day, played tons of Mario Super Sluggers on the Wii, tried my hand at NHL 2012 on the PS3 (never making it past the rookies), played some non-video game bowling (and finally broke triple digits!) and watched lots and lots of Mantracker (everyone outside of Canada is missing out, because Mantracker is possibly the best reality show ever made). I managed to read the bulk of one book (but not finish it) while we were away, so I was only marginally better at reading than I was at blogging. I feel slightly guilty about this, but mostly I'm just happy I got some time to completely relax and hibernate. I'm still not feeling entirely recharged, but I'm feeling quite a bit calmer than I did before the holidays. Given that I wrote not a single thing while I was away, I still have four books that I read last year that I still need to write about. AND I need to write one of those fun summary posts in which I recap 2011. Already I am behind the times! 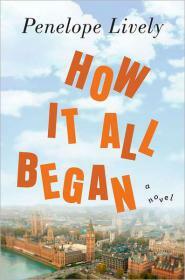 Before I do any of that, however, I am instead going to direct your attention to the January 2012 issue of BookPage, in which I reviewed Penelope Lively's newest novel, How It All Began. I did actually read this book a few months ago, so while it's a 2012 book for most, it was actually a 2011 book for me. I've only ever read one other Lively novel, Moon Tiger, but she made a wonderful first impression on me and I'd been wanting to read more of her works ever since. Despite being published 25 years after Moon Tiger, How It All Began is still clearly a Penelope Lively novel. It is perhaps less experimental than MT, as it does largely focus on telling a briskly paced story filled with a dynamic cast of characters, but it still has a soupçon of metafiction, which I really love. The thing about Lively's fiction that always seems to resonate with me is that she unabashedly loves stories and actively uses her work as a means of promoting the idea that we as humans are drawn to storytelling and the written word because of the closure and permanence they provide. Anyone who loves books like I do can't help but feel that one has found a kindred spirit in an author who so unabashedly espouses this view in her books. Fellow readers will also get a kick out of the main character, Charlotte, as she herself is an ardent bookworm (and adult literacy teacher) and large swaths of her storyline are devoted to musings on how reading enriches one's life. 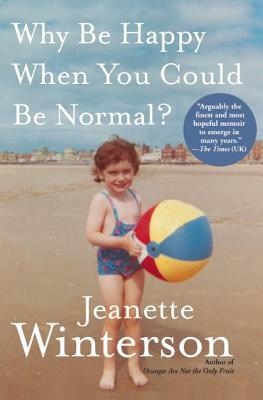 The novel as a whole is incredibly engrossing and touching, but that thread in particular really spoke to me. 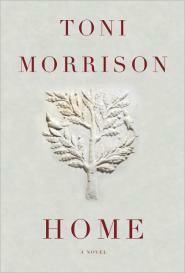 Rather than read my inelegant ramblings here, check out my review at BookPage for the full scoop. In the interim, I'll get to work on putting the rest of 2011 to bed! Before I know it, it's going to be the middle of the month... and then the end of the month... so before I forget, I'd better remind you that the November issue of BookPage is out AND, after having taken a few months off, I actually have a review in it! As you have likely gathered from the title of this post, I read David Guterson's newest novel, Ed King, which is actually a modern day retelling of the classic Greek play, Oedipus The King. The original source material is quite a yarn, so you can imagine just how fun and zany this book was! Although knowledge of the original play is by no means necessary, familiarity with Sophocles' version will certainly add to one's enjoyment. It was really fun to see how Guterson chose to modernize certain elements, and one of my favorite bits was how he re-envisioned the Greek chorus. But regardless, however you read this one, whether it be with fresh eyes or through the lens of what came before, this is a book that hooks you right from the start and is full of juicy scandals. Although this isn't Guterson's first novel, it was actually the first book of his that I've read and I really enjoyed it. It was the perfect blend of smart and playful, and even though it was certainly quirky, I never felt like Guterson was trying too hard to be clever at the expense of the story. If I were reviewing it solely here on the blog, I would give it a 4 out of 5. 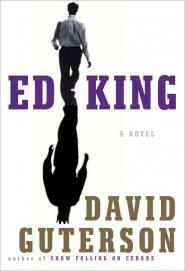 For more of my thoughts on Ed King, you can check out my review here. I promise y'all, I am still alive and indeed, I am even still reading (haphazardly) and writing (even more haphazardly!). I've just had so much school stuff to wade through at the moment (did anyone else know that PhD programs are devilishly time-/life-consuming? ), that by the end of the day I'm often too exhausted to muster up the energy to read anything above and beyond celebrity gossip websites (If someone wanted to volunteer to weed through my feedreader, which has never been as abundant with unread posts as it is now, I'd love you forever! ), and writing is pretty much out of the question. Unless, of course, I'm getting paid some ducats! Money is a powerful motivator after all... It doesn't hurt that the fiction editor over at BookPage also happens to be a good friend, so Trisha lets me comb through the books each month and pick out ones that appeal to me so that I have a halfway decent chance of actually liking the books that I'm reading for them (hurrah for nepotism!). 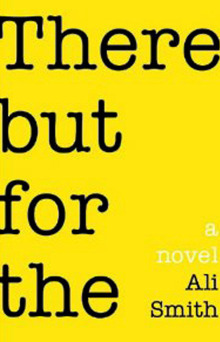 For September, I elected to try Ali Smith's latest novel, There But For The, despite having reviewed one of her books way back when I first started this blog and not having (m)any kind words for it at all. I probably would have been fine living an Ali-Smith-free existence, but her new book did sound intriguing and I quickly flipped through it to make sure it didn't have any poetry before picking it! Thankfully for all of us, I liked There But For The loads more than I did The Accidental, and found it the right kind of quirky with the kind of word games that I could really get behind. It's certainly intellectual and absurd, so it's good that I tackled it before my brain got overloaded by school work and turned to goo, but at the same time, it wasn't a book I felt I had to work at to read so don't let the fact that it's a smart book be a turn-off. After all, I love nothing more than a smart book or a smart woman (hence the PhD program)! 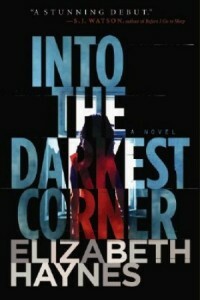 For more coherent thoughts on There But For The, check out my full review at BookPage here. Also, I have something like 6 books that I've been meaning to review, only writing has been soooo hard of late. Honestly, using one's brain to think about abstract scientific problems for, like, 50 hours a week is really exhausting. I am going to try my best to get this back-log cleared up as soon as a I can, but please understand that if my posts are less frequent than either of us would like, it's not for lack of love, but really lack of neuronal firing power. June is a pretty kickass month for new books, if I do say so myself. For this month's issue of BookPage, I got to read a fabulous debut novel AND a stunning sequel by an author who is much loved by book-bloggers, so to say that I was pretty spoiled with the books I got to review is an understatement. 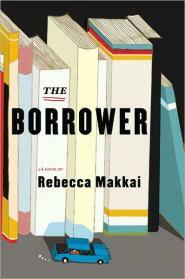 Simply put, The Borrower by Rebecca Makkai is something that no book lover should miss. 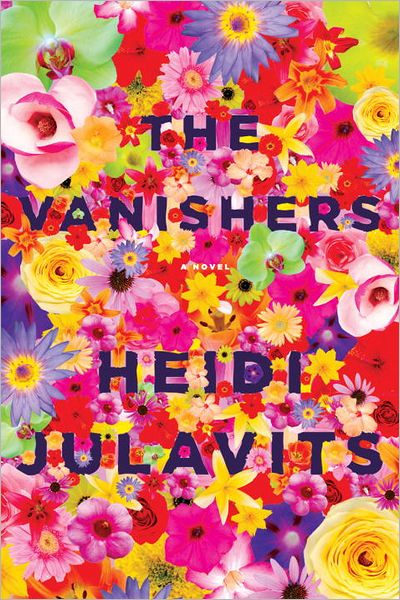 It may sound weird to say that a book that essentially revolves around an unintended kidnapping is both funny and sweet, but that's exactly what you get with this book. It features a children's librarian named Lucy who has the best of intentions, even if her life is kind of a huge mess. The icing on the cake occurs when she accidentally absconding with one of her favorite library patrons, Ian, who has an overbearing and extremely religious mother who would rather he spent his time playing sports instead of reading, especially when his book selections tend to veer towards those more appropriate for girls or devil worshippers. Together, Lucy and Ian embark on an unexpected adventure that will have you both smiling as well as reaching for your tissues. Especially delightful were all of the literary references that are scattered throughout The Borrower and I defy any book lover to read this book and not find yourself somewhere in these pages. If you've ever felt that books are so powerful that they can save lives, you must read this book! But for now, read my full review here! 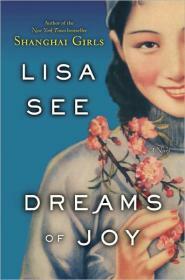 Existing fans of Lisa See will probably not need to hear my thoughts on her latest novel, Dreams of Joy, before rushing out to buy the sequel to See's immensely popular novel, Shanghai Girls, but in case you're new to the See bandwagon (sit next to me! This was my first book by her! ), or are just looking for a little taster to whet your appetite, you can read my review here. See does a great job of realizing the alien nature of China for her readers, but still manages to make the country and its people accessible to Western readers, which is no small feat. This is one of those pieces of fiction where you feel like you've learned more than any textbook or piece of non-fiction writing could impart, and is definitely a great way to armchair travel. As an added bonus, I also did a Q&A with Lisa See about her new book (amongst other things), so for those of you looking for some "behind the scenes" insights, look no further! Sorry for the recent spate of blog neglect, faithful readers. Real life has been rather hectic as I spent much of April preparing to present a proposal for a series of studies I intend to carry out in pursuit of my doctoral degree to my committee, a task I completed (successfully!) yesterday. It turns out that graduate school is a rather time-consuming and mentally exhausting endeavor at time, so I apologize for using my spare time for little more than movie watching and video game playing. Now that writing a 60 page document is out of the way, I hope that I'll find the vim and vigor to resume my duties here at S&TI! 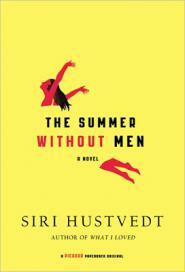 To kick things off this month, I reviewed Siri Hustvedt's newest novel, The Summer Without Men, over at BookPage. This was my first Hustvedt novel, but I can assure you, it shan't be my last. I was blown away by the intellectual depth that is present in her writing, and I loved the complex female dynamics and innerworkings that she explored in this novel. I tore through it due to my looming review deadline, but truly this is a book meant to be read slowly and thought about deeply. I will very much need to read it again, in part because Hustvedt's prose is so deceptively simple that it's all too easy to chug it down when you really should be sipping. If you're at all interested in fiction that features women so real it's like looking in a mirror, then get yourself a copy of this book posthaste! For more details, you can read my full review here. 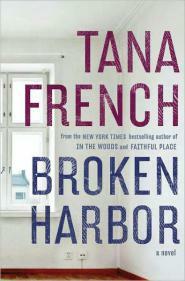 For the April issue of BookPage, I pulled double duty and reviewed two new releases, one a debut novel (written by a septuagenarian! 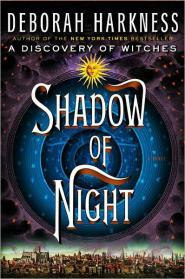 ), and the other by one of those authors who perpetually finds herself on a the top of the NYT bestseller list. 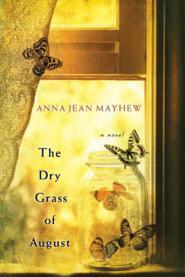 First up: The Dry Grass of August by Anna Jean Mayhew. I fully admit that I wasn't convinced that I would like this novel when I agreed to review it, but I'm really glad that I kept an open mind because I ultimately found it to be a really powerful evocation of race relations in the South. I worried it would be too derivative of other similar titles, but there is no denying the strength of the narrative Mayhew has created, and it definitely stands on its own two feet (provided book have feet...). Fans of Southern fiction, or those who have enjoyed books like The Help or The Secret Life of Bees definitely need to check this one out. For more info, read my whole review here. And as an added bonus, I did a Q&A with the author which is pretty fascinating if I do say so myself! 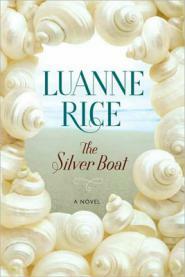 As for the heavy-hitter author, I also covered Luanne Rice's latest novel, The Silver Boat. 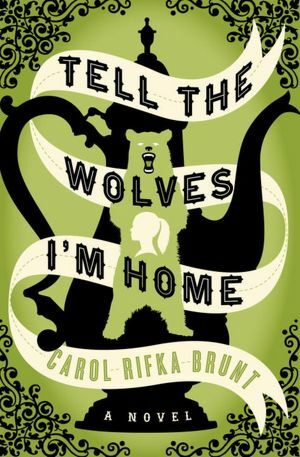 Featuring three sisters who come together to pack up their family summer house in preparation for its sale, this one is great for people who love family sagas filled with rifts and secrets. Check out my full review here!